API SBP assists with the development of small and micro businesses in Los Angeles with a particular focus on the Chinese, Korean, Japanese, Thai and Filipino business communities, especially those of low income immigrants. API SBP offers business counseling, workshops and trainings throughout the year to entrepreneurs and small business owners. State Regulatory Agency – Responsible for Inspection, Training and Education of Food Processors in California. CLFP is the voice and advocate for the California food processing industry, as well as a resource for information on legislative and regulatory issues, education, research, and events happening within the industry. A non-profit consulting organization dedicated to improving the manufacturing community of Southern California. The Masters program in Food Science at Chapman University prepares students for a variety of careers in the food, nutritional, pharmaceutical and related industries, in government and regulatory agencies, for service organizations and academic institutions. Free business counseling and training, part of SBA. City of Vernon Environ. Health Dept. Non-profit Economic Community Development Corporation. Los Angeles High School Program Providing Training in the Culinary Arts. Participate in the FIBR Speaker Series and Be a Role Model. The Food Consultants Group is the most diverse organization in the world covering every aspect of the food industry – Retail, Restaurants, Foodservice and Food Processing. You can choose from working with a single food consultant to having us build a multi-disciplined team to handle all your food or restaurant needs. You will save money by only hiring what you need, when you need it. Foothill Kitchens is located in Upland in the Inland Empire. We offer kitchens that are Health Department licensed and designed for small retail food related businesses needing commercial space to start or expand your food related business. Our kitchens are available for short-term or long-term part-time usage, and private use during your own designated hours. We have a demonstration kitchen attached to a banquet room that is available for cooking classes and workshops. Our space features a small storefront where we can sell your product to the public. 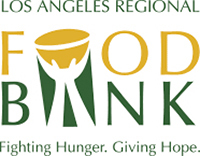 The Los Angeles Regional Foodbank distributes 40 million pounds of food and product annually through a network of 1,000 charitable agency sites. The Foodbank relies on the support of foundations, individual and corporate donors, agency support, government funding and volunteers. The City of Los Angeles' LA Sanitation, Industrial Waste Management Division's (IWMD) mission is to protect public health, safety, the environment and the City's water reclamation plants, and to maximize the beneficial reuse of biosolids, and recycled water. IWMD administers the City's EPA-approved source control and pretreatment program in accordance with the City's Industrial Waste Control Ordinance; IWMD regulates, monitors, and controls the wastewater discharges of over 18,000 industrial users into the City's treatment system. Orange County Environmental Health Dept. Prosy De LaCruz is now a Commissioner, LA Convention and Exhibit Center Authority; formerly Commissioner, Civil Service Board, LA City. The Sabor Latino Food Trade Show is LA's only exclusive Latin Food Trade Show! The Sabor Latino Food Show features an exciting tradeshow floor, a conference, and a symposium. The conference education sessions will showcase some of today's most interesting speakers in the Latin food business environment. The invite-only symposium will takes an academic look at the state of the Latin Food industry. The tradeshow floor will have exciting line up of vendors along with exclusive activities that pertain to the Latin Food Business. The Sabor Latino Food Show takes place in Pasadena, California, at the Pasadena Convention Center. San Bernardino County Health Dept. Mission: Enrich the quality of life and economic vitality of the San Gabriel Valley. 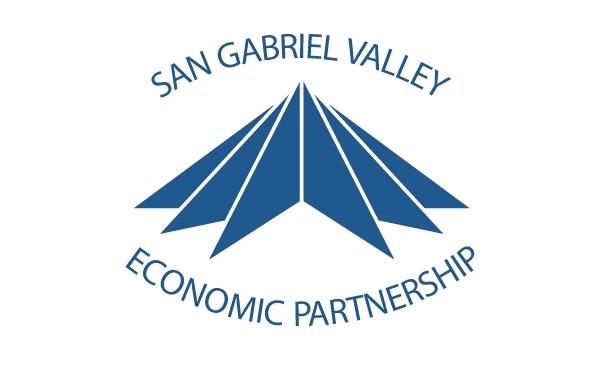 The San Gabriel Valley Economic Partnership is a regional, non-profit corporation supported and directed by its members and committed to the continued successful economic development of the San Gabriel Valley. A collaboration of business, local government, institutions of higher education and non-profit organizations, the Partnership pursues this commitment by engaging in public policy, marketing the San Gabriel Valley, fostering the success of business, and connecting people, companies, and organizations in the San Gabriel Valley. Credit Union, Scholarships, Health Insurance and Much More if offered through UAL to FIBR Members. 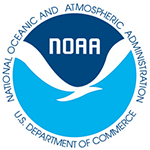 The NOAA Seafood Inspection Program offers a variety of professional inspection services on a fee-for-service basis. Providing programs structured to revitalize the physical, economic and social life of the community of South Los Angeles. To support the needs of small businesses in Los Angeles, VSEDC operates the City of Los Angeles BusinessSource Center for the South region. BusinessSource is funded by the City of Los Angeles Economic and Workforce Development Department to provide training, counseling and access to capital services for small businesses. Services are delivered primarily at VSEDC's Business Enterprise Center which is a micro-business incubator which offers affordable office space and support services for start-up and established businesses. Vernon Chamber of Commerce. Since 1950, we have been supports industry in the City of Vernon by offering members customized, individually-tailored programs designed specifically to strengthen business. Core services include: The Voice of Business: Representing the interests of Vernon business with government; Business Development: Strengthening businesses through economic development programs; Political Advocacy: Generating political action though legislative advocacy ; Bringing Businesses Together: Providing networking opportunities & referrals between businesses; Keeping Vernon Industrial: Actively promoting and supporting our exclusively industrial business community. Mission Statement: The mission of the Vernon Chamber of Commerce is to provide leadership, education, and advocacy to strengthen and enhance economic prosperity for our member businesses and the city. Our purpose is to create a unique business platform for networking, meetings, seminars, and events to promote the businesses services and products and the objective is to build businesses relationships. We strive to be the best networking committee in the State by providing business owners an opportunity to network in a professional environment, to grow, and to develop their businesses.